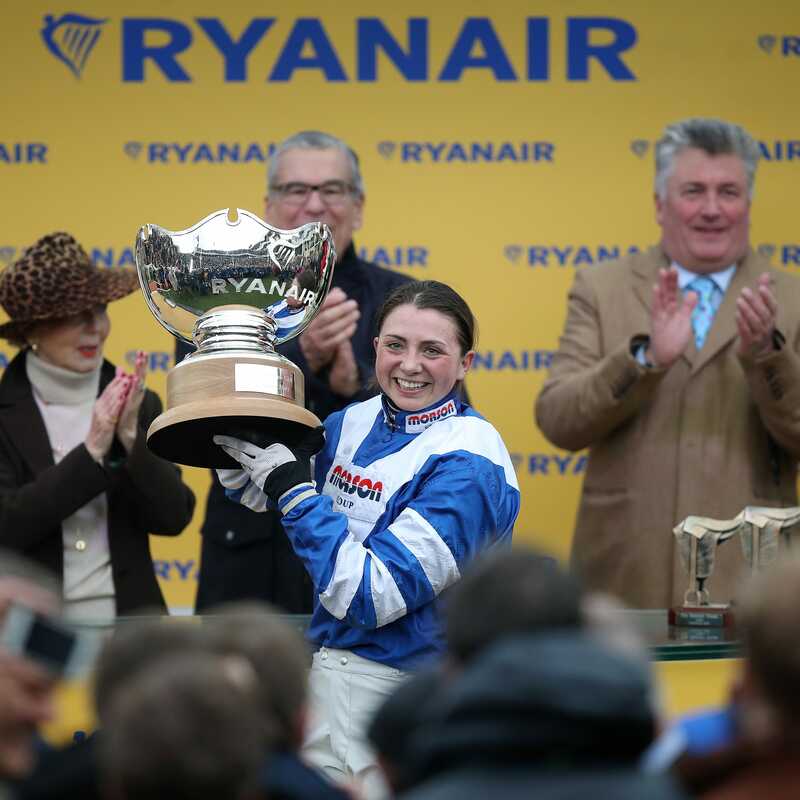 Bryony Frost is set to miss next month’s Grand National meeting at Aintree after confirming she broke her collarbone in a fall at Southwell. Frost, who lit up the Cheltenham Festival with her victory in the Ryanair Chase on the Paul Nicholls-trained Frodon, saw a specialist on Wednesday – two days after her fall from Midnight Bliss. The injury, which will be reassessed in two weeks, is one which typically requires a recovery period of between one month and two. Frost said in a statement released via The Jockey Club: “Yesterday I went to see an extremely good specialist in Cardiff, where my X-ray results have shown that I’ve fractured my clavicle. “I suffered a fracture previously, which healed well under pressure. Aintree will surely be off the agenda this season for Frost, who has voiced her gratitude to those who have wished her well in recent days. “I’ve been taken aback by all the support I’ve received since Monday,” she added. “It makes you aware of how many people are running with you when you hold out your hand and see who reaches out to help and pull you up.